blog by Sam Bailey: Now THAT is spin! Impressive work by the Itsu japanese restaurant in Picadilly, where your man Alexander Litvinenko was poisoned. 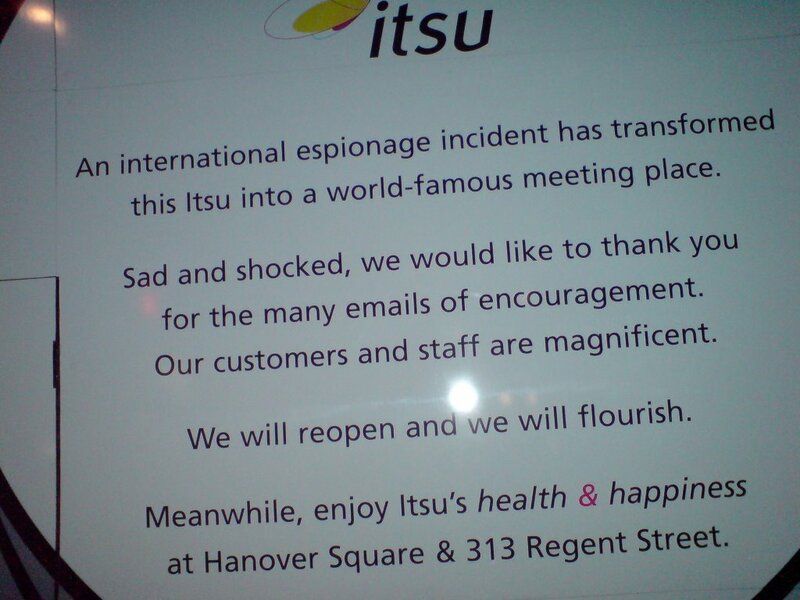 They've boarded it up and are advertising it as a "world famous meeting place" where an "international espionage incident" occured. Outstanding work.